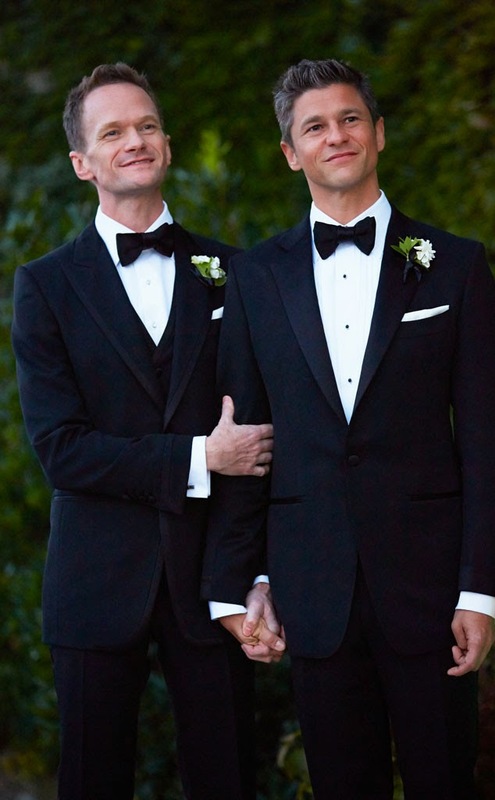 Neil Patrick Harris is a married man! The Tony winner, 41, and David Burtka, 39, tied the knot on Saturday in Italy. The couple, parents to twins Gideon and Harper, began dating more than 10 years ago. Both grooms wore custom Tom Ford tuxedos. Their friend and mentor, How I Met Your Mother producer and director Pam Fryman, officiated the ceremony. And talk about a wedding singer—Elton John performed at the reception! "We happily confirm that Neil Patrick Harris and David Burtka were married in Italy in an intimate ceremony surrounded by their close friends and family," a rep for NPH said.